In the St. Baldrick’s Foundation community, John Bender has been a catalyst for raising funds in support of lifesaving childhood cancer research and clinical trials. In 1999, he was one of three reinsurance executives – along with Tim Kenny and Enda McDonnell – who made head shaving part of their mission to find better treatments and eventually a cure for kids’ cancers. Today, as a co-founder and Chairman Emeritus, John remains a major part of the organization and an inspiration to those who have taken up this vital cause. That’s why, with the twentieth year of head shaving upon us, we asked John to share his thoughts on two decades of fighting childhood cancers. 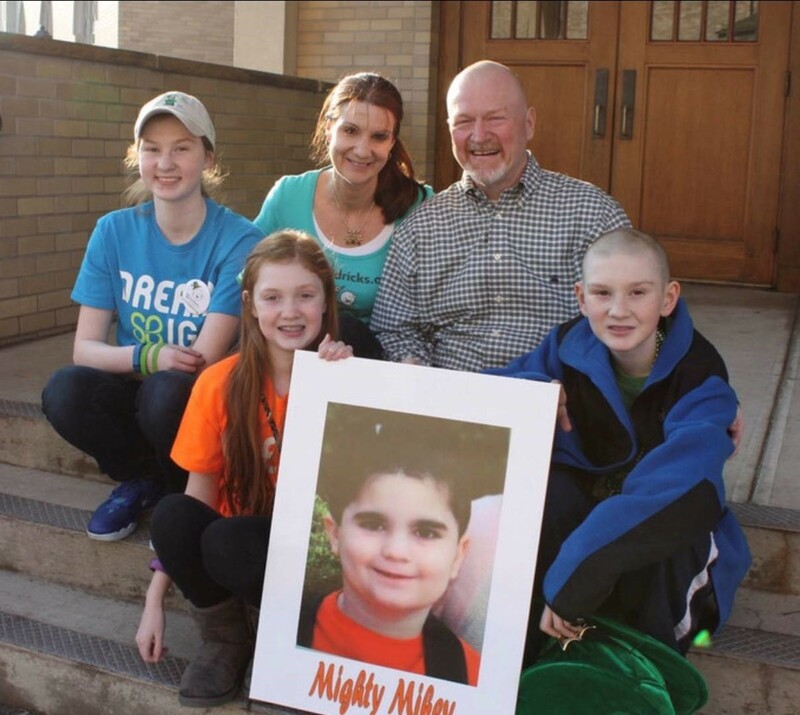 John Bender with members of his family in 2014 holding a photo of Mighty Mikey, who died after being diagnosed with brain and spinal tumors.